People find different ways to express their love and affection when they are in love. Some use words while others use gifts to show their feelings and emotions. People say it doesn’t matter how your loved one expressed their love for your, it’s the thought that counts. But what if your partner decides to get your name permanently tattooed on their body? It’ll be like the ultimate lifelong bond. Your name inked on their body is a perpetual reminder that your love and relationship is going to stay for years to come. But for cynical or realist people it is nothing but a daunting stamp of the proof of your love. It can be quite intimidating for commitment phobic people. But still many people go ahead and bravely get their loved one’s name tattoed. Saif and Kareena are one of the most stunning couples of Bollywood. They have been together for more than a decade. They fell for each other hard and fast during the shooting of the film ‘Tashan’. Saif was so besotted with Kareen earlier when they started dating that he got her name tattooed on his forearm. They tied the knot in 2012 after dating for almost 5 years. They have been madly in love ever since. Akshay a.k.a Khiladi Kumar of Bollywood is everybody’s favourite action hero. This actor who is popular for doing some of the most successful movies of all times is actually a doting father and husband in real life. 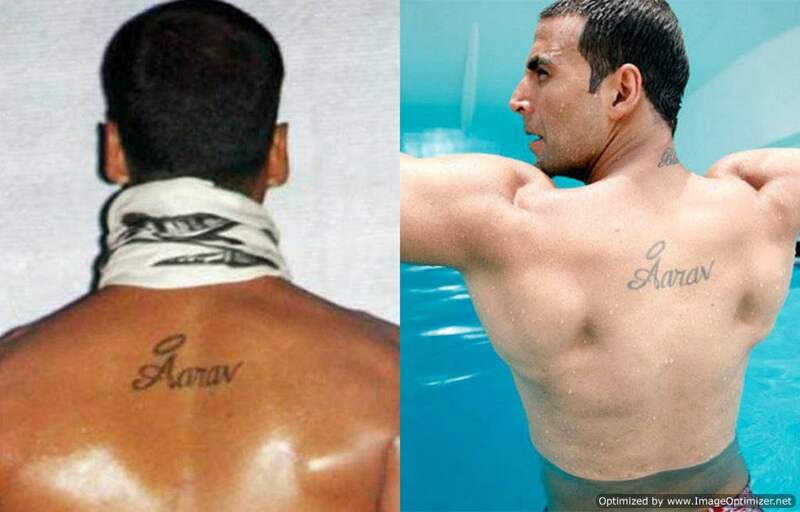 So much so that he has his children Aarav and Nitara’s name tattooed on his back. He recently got a new tattoo. 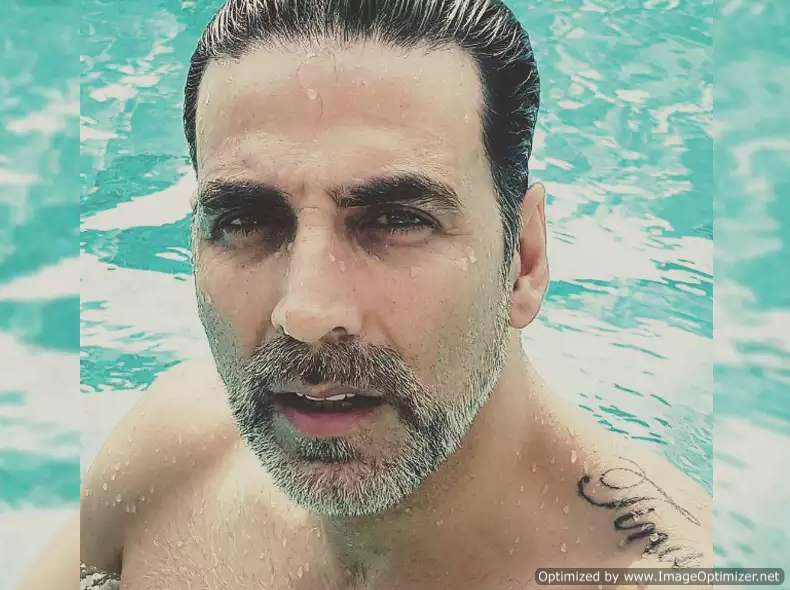 He got his wife Twinkly Khanna’s pet name ‘Tina’ inked in his left shoulder. Hrithik separated from his wife Sussanne and broke the entire nation’s heart. Hrithik and Sussanne were one of the loveliest couples in Bollywood while they were together. Although Hrithik and Sussanne are still on friendly terms for the sake of their sons, it is not the same. 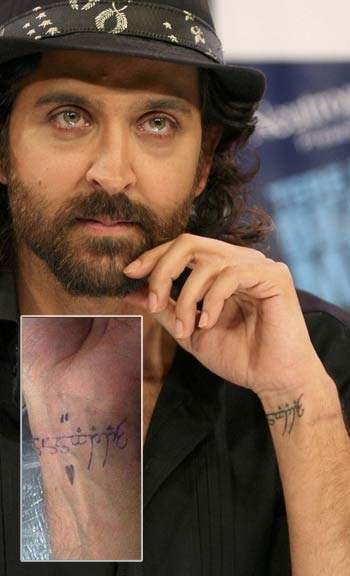 They both have matching tattoos and Hrithik even has Sussanne’s name inked on his wrist. They were evidently much in love when they were together. 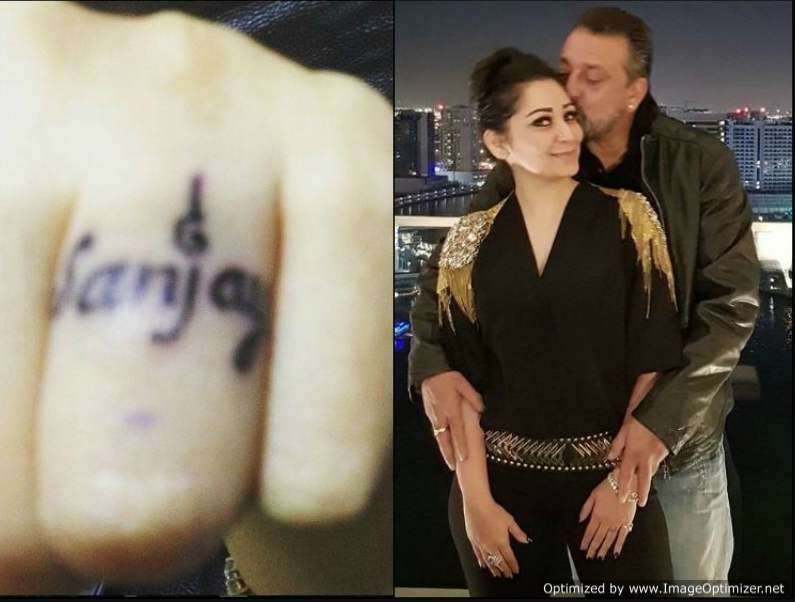 Manyata is married to Bollywood’s original bad boy Sanjay Dutt. The tow married when Sanjay was facing a tough time in his life. Manyata stood with him like a rock and supported him during rocky times. They are happily married today and have adorable twins. She, in fact, has Sanjay’s name tattoed on her ring finger which she flaunted the first time on her Instagram. Deepika, who is currently referred to as the queen of Bollywood, has also been a part of many controversies. Her love affair and subsequent break-up with Ranbir Kapoor are one of the most talked about and controversial events of all times in Bollywood. Deepika was madly in love with Ranbir while they were dating. Her strong feelings towards Ranbir didn’t stop her from making the ultimate commitment. She got Ranbir’s initials tattooed on her nape. The two broke-up after a couple of years but the tattoo is still there. Although Deepika has long moved on and is currently dating India’s current heartthrob Ranveer Singh, she never tries to hide her tattoo. Next story Aww-dorable: Aaradhya Bachchan’s sweet note for papa Abhishek will melt your heart!